Since 2017 is coming to a close, so is the NFL Season and now the Cyclone returns to see how everything is progressing into the playoffs season. Al and J are joined by an old friend as they continue to explore what's been going on since the show's been in hiatus. They'll look into the rise of the Philadelphia Eagles to what is going on with the Cleveland Browns. 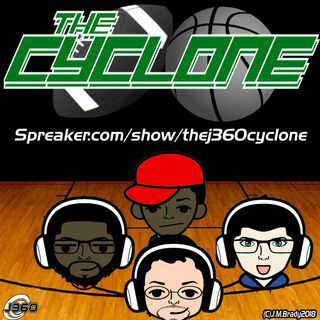 It'll be a variety base show but rest assured J360 Legion, The Cyclone is back!